…actually, the first one was just a test model. This latest appearance is that of the real thing. 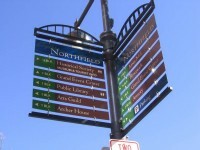 On the north side of 4th Street, just east (up the hill away from the river) of Division Street, is a way-finding sign. It’s part of a planned series of signs in and around downtown to help folks find their way to arts, recreation and cultural opportunities in our community. 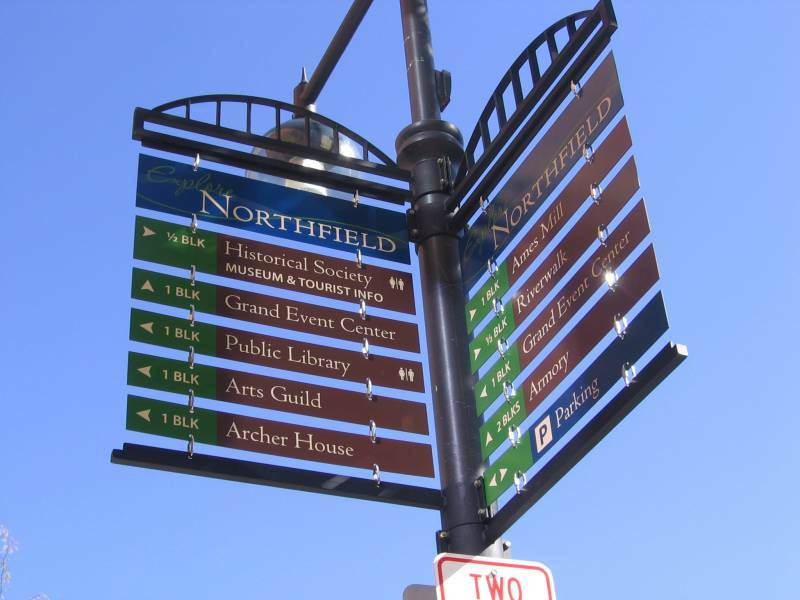 This one includes such landmarks as the Historical Society, the historic Grand Auditorium, the historic Carnegie Library, the renowned Northfield Arts Guild, the historic Archer House, the town-spawning Ames Mill, the much enjoyed Riverwalk, and the much used National Guard Armory. Note the icons for public restrooms and public parking too. Here’s another opportunity to give a big “thank-you” to Joel Walinski and his crew down at City Hall. Thanks Joel, you can count on us to praise them each and all, one by one.